← Auto Dealer-Arranged Financing: When must TIL Disclosures be Provided? By Greg Johnson. This is the first in a series of articles addressing claims for damage to, and loss of, rented vehicles. It provides an overview of the types of damages a rental car company may sustain (and, thus, may be imposed on the renter) in the event the rented vehicle is damaged, totaled or stolen. In addition to the typical repair costs and loss for a totaled or stolen vehicle, these damages may include damages that may not be appreciated by renters such as diminution in value, loss of use and other incidental losses. This article also identifies the types of coverage available to a renter to protect himself/herself against liability for such damages, such as Loss Damage Waiver (LDW) (a/k/a Physical Damage Waiver (PDW) or Collision Damage Waiver (CDW)), physical damage (collision/comprehensive) coverage under a personal auto policy, physical damage coverage imposed by statute on personal auto policies for rented vehicles and physical damage coverage provided by credit card companies for rented vehicles. In future articles, I will address diminution in value and loss of use damages in detail and highlight court decisions addressing whether loss of use claims can or must be based on reasonable rental values or loss of income and require use of fleet utilization rates. While the laws of each state differ and need to be consulted, renting a vehicle from a rental car company generally creates a bailment contract for the mutual benefit of the parties. Generally, a bailee (renter) is liable to the bailor (rental company) for any damage to, or loss of, the bailed property (rented vehicle) caused by the bailee’s negligence or fault. In addition, the parties to a bailment contract are generally free to alter their obligations by contract, provided the agreement does not contravene a statute or public policy. While a state may limit a renter’s obligation to damages or losses caused by the renter, most rental car agreements require the renter to bear responsibility for all damages regardless of whether the renter was negligent or at-fault. Typically, if the rented vehicle is damaged while in the renter’s possession under the rental car agreement, the renter is obligated to pay the costs necessary to repair the vehicle. If the rented vehicle is totaled, the renter is generally liable for the difference between the vehicle’s fair market value before it was damaged and the sale (or salvage) proceeds. And, if the rented vehicle is stolen and not recovered, the renter is usually obligated to pay the rental car company for the rental car’s fair market value. In addition to these typical damages, the renter may also be legally liable to pay the rental car company for a variety of other damages that are less understood, such as damages for “diminution in value,” “loss of use” and incidental losses such as towing, storage and administrative fees. I will be discussing these types of damages, and court decisions addressing them, in subsequent posts. For purposes of this article, it is sufficient to note that diminution in value damages arise when a rented vehicle cannot be repaired to its pre-accident condition. Many states (including Minnesota) recognize that the owner of a commercial vehicle (which would include the owner of a rental vehicle) is entitled to recover the monetary difference between the value of the rented vehicle at the time of rental and its value after it was damaged and repaired. Loss of use damages represent the income the rental car company loses when it cannot rent a damaged, totaled or stolen car. Many states (including Minnesota) recognize that the owner of a commercial vehicle is entitled to recover damages based on the loss of use of the vehicle while it is undergoing repairs or until it can be replaced. First, the renter can purchase loss damage waiver (LDW) (a/k/a Physical Damage Waiver (PDW) or Collision Damage Waiver (CDW)). For a fee, the car rental company will enter into a contract with the renter to waive all or part of its damage claim against the renter if the rented vehicle is damaged or stolen (provided the car was not driven by an unauthorized driver or in violation of a geographic or use limitation specified in the rental contract). Damage/Loss to the Car. If you do not accept LDW, or if the car is lost or damaged as a direct or indirect result of a violation of paragraph 14 [“Prohibited Use of the Car”], you are responsible; and you will pay us for all loss of or damage to the car regardless of cause, or who, or what caused it. If the car is damaged, you will pay our estimated repair cost, or if, in our sole discretion, we determine to sell the car in its damaged condition, you will pay the difference between the car’s retail fair market value before it was damaged and the sale proceeds. If the car is stolen and not recovered you will pay us for the car’s fair market value before it was stolen. As part of our loss, you’ll also pay for loss of use of the car, without regard to fleet utilization, plus an administrative fee, plus towing and storage charges, if any (“Incidental Loss”). Loss Damage Waiver. Loss Damage Waiver (LDW) is not insurance and not mandatory. If you accept LDW by your initials on the rental agreement at the daily rate, for each full or partial day that the car is rented to you, and the car is used and operated in accordance with this agreement, we assume responsibility for the loss of or damage to the car except for your amount of “responsibility”, if any, specified on the rental document. 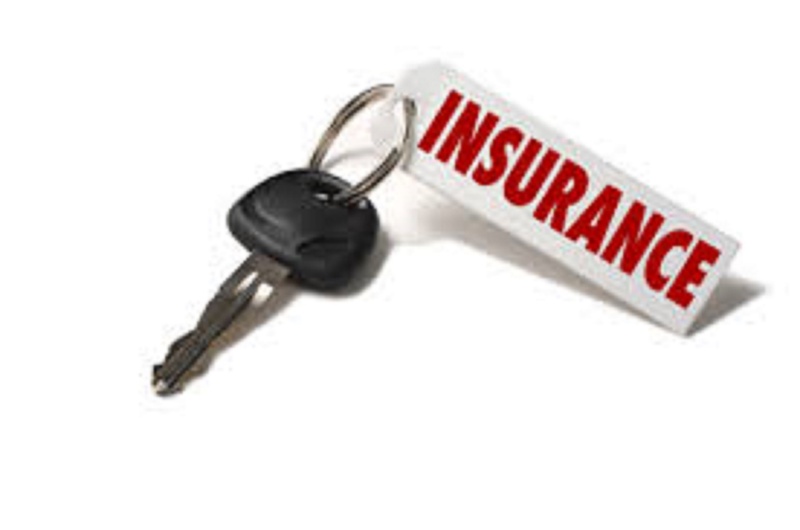 You acknowledge that you have been advised that your insurance may cover loss or damage to the car. You also acknowledge reading the notice on loss damage shown on the rental document, or at the end of these terms, or in separate notice form. Although LDW meets the basic definition of insurance — it transfers some risk from the renter to the rental company — it is not regulated as insurance because it is simply a waiver of the rental company’s right to charge the renter for damages to, or loss of, the rented vehicle. Nonetheless, some states regulate the content of LDW provisions by statute. Minnesota, for example, defines “collision damage waiver” to mean “a discharge of the responsibility of the renter or lessee to return the motor vehicle in the same condition as when it was first rented. The waiver is a full and complete discharge of the responsibility to return the vehicle in the same condition as when it was first rented.” Minnesota Statute. § 72A.125, subd. 3. The statute goes on to state that, “[t]he waiver may not contain any exclusions except those approved by the [department of commerce] commissioner.” This type of statute will override any contrary LDW terms in the rental car agreement. Thus, if a person purchases LDW in connection with a vehicle rental in Minnesota, the renter cannot thereafter be held responsible for any damages unless one of the statutorily authorized exclusions is applicable. Second, the renter may have a personal auto policy and may have purchased physical damage (collision and comprehensive) coverage. Physical damage coverage will usually extend coverage to the rented vehicle. If the renter has this coverage, purchase of LDW may be unnecessary. It is important to recognize that, in contrast to coverages which are typically mandated by state law (bodily injury and property damage coverage, uninsured and underinsured motorist protection and personal injury protection (a/k/a basic economic loss or no-fault) coverage), physical damage coverage is entirely optional. While a lending institution may require the vehicle owner to maintain physical damage coverage if the vehicle owner financed the purchase or lease of the vehicle, a vehicle owner need not purchase physical damage coverage in order to legally operate a vehicle. Collision coverage, as its name suggests, is primarily designed to pay the insured for the cost to repair a vehicle when damaged in a vehicle collision (or the cash value or replacement value of the vehicle if it is not repairable or totaled). Comprehensive coverage is intended to pay the insured for the cost to repair a vehicle when damaged by non-vehicle collisions such as vandalism, fire, weather, or impacts with animals (or the cash value or replacement value of the vehicle if it is stolen). NOTICE: This contract offers, for an additional charge, a Collision Damage Waiver to cover your financial responsibility for damage to the rental vehicle. Your personal automobile insurance may already cover you for damage to a rental car. The purchase of a Collision Damage Waiver is optional and may be declined. For Massachusetts residents: If you have an automobile policy on your personal vehicle with coverage for collision, your policy will cover collision damage to the rental vehicle, less the deductible on your policy. If you have comprehensive coverage on your vehicle, your policy will cover loss on the rental vehicle caused by fire, theft or vandalism, less the deductible on your policy. Drivers who hold policies in other states should check with their insurance agents to determine whether their policies extend to rental vehicles. It is also important to note that even if the renter purchased physical damage coverage on his or her personal auto policy, the coverage is subject to a deductible and stated limits and that deductible and those limits will usually apply to the rented vehicle as well. In addition, most personal auto policies will not cover cars rented outside the United States and many will not apply to exotic or luxury cars, SUVs and certain types of vans. In addition, many personal auto policies will not cover all damages the rental car company may assess the renter such as diminution of value, loss of use or administrative fees, such that the renter can be liable for such charges even if the renter’s personal auto policy contained physical damage coverage at the time of rental. Third, the renter may have purchased a personal auto policy in state which requires that the mandatory property damage liability coverage of the policy be automatically rewritten to afford physical damage coverage to rented vehicles. Minnesota is one such state. In 1987, Minnesota enacted legislation requiring that personal auto policies insuring private passenger vehicles and pickup trucks and vans, wherever issued, provide coverage for rented private passenger vehicles, including pickup trucks, vans and trucks with a registered gross vehicle weight of 26,000 pounds or less. Minn. Stat. § 65B.49, subd. 5a(a)(1). Under the statute, a personal auto policy must cover a “rented vehicle” against “damage and loss of use” under the compulsory “property damage liability” coverage of the policy. Id. Although Minnesota only requires $10,000 of property damage liability coverage, the policy is automatically rewritten to afford $35,000 of coverage for damage and loss of use of rented vehicles. Id. Under Minnesota law, a personal automobile insurance policy must: (1) cover the rental of this motor vehicle against damage to the vehicle and against loss of use of the vehicle … Therefore, purchase of any collision damage waiver or similar insurance affected in this rental contract is not necessary. … No collision damage waiver or other insurance offered as part of or in conjunction with a rental of a motor vehicle may be sold unless the person renting the vehicle provides a written acknowledgment that the above consumer protection notice has been read and understood. Thus, in Minnesota, it does not matter whether the renter purchased physical damage coverage when s/he purchased the personal auto policy. Physical damage insurance is imposed on the policy for purposes of responding to damages to a rented vehicle. If the renter’s policy was issued in a state imposing physical damage insurance on personal auto policies for rented vehicles, such as Minnesota, purchase of LDW may be unnecessary. This statutorily-imposed coverage is written into personal auto insurance policies issued in Minnesota. A renter should review his or her policy before renting a vehicle. I will be addressing the Minnesota statute in detail in a subsequent article on this blog. Fourth, the renter may have a credit card which will extend physical damage coverage to the rented vehicle if the renter charged the rental vehicle on the card and declined to purchase LDW. If the renter has this coverage, purchase of LDW may be unnecessary. It is important to note that while all four major credit card companies cover damage to the rented vehicle, some credit card policies may not cover vandalism or theft or weather-related damages and may only extend coverage to the credit cardholder (as opposed to a collision caused by other drivers of the rental vehicle), short term rentals (15 days or less) or accidents occurring on public roads. In addition, virtually all credit card policies exclude coverage for luxury and exotic vehicles and some do not cover SUVs, vans and trucks. Further, while some claim to cover “loss of use” damages, the credit card company may only be obligated to pay if the rental company proves loss of use by providing a fleet utilization log showing that it did not have other cars available to rent. Usually, the physical damage insurance available through a credit card is written to apply on a “secondary” basis, meaning that if the renter/credit cardholder has a personal auto policy that applies to the rental car company’s damages, the personal auto policy will be “primary” and pay first. The credit card company will then be obligated to reimburse the renter for the deductible under the primary personal auto policy and address large claims above the limits of the primary personal auto policy. However, if the renter has no personal auto insurance that applies to the damages, the credit card company will generally drop-down and pay all damages, up to its limits of insurance. The renter should thoroughly review his or her credit card policy before renting a vehicle. This entry was posted in PAP, Rentals and tagged Auto Insurance, Diminution in Value, LDW, Loff of Use, Loss Damage Waiver, Physical Damage Insurance, Rental Car, Rental Car Liability. Bookmark the permalink.